As I launch this new blog I wanted to share some of the knowledge I’ve gained from listening to and reading Dave Ramsey. That is why I started out with my series on his Baby Steps. 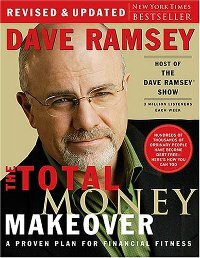 To take it a step farther, I’ve decided to give away 3 copies of Dave’s The Total Money Makeover. If you haven’t read it you should, and if you already have it makes a great gift. I wish I would have read it sooner. photo credit: freeloosedirt The grass in the backyard feels different between your toes when the mortgage is paid off and you really own it. I can’t wait to get past this step. It opens so many possibilities. I am a big fan of Dave Ramsey and his advice on money and life. He has changed the way I think about my finances and it has been all for the better. This is going to be the start of a 7 part series covering Dave Ramsey’s Baby Steps to financial freedom.